I think I might dedicate this week to shopping & fashion! V & I went shopping during the weekend & I scored some great deals! All of the additions I made were much needed & very necessary...my wardrobe thanks me, that's for sure. I haven't been clothes shopping in a good...goodness...eight months if not more. I'm going to share some of my finds with you today. Let me know if you have any tips or fun accessories to add! My first pair of SPERRIES. So excited. So comfy. Not the prettiest but very comfortable and great foot support. There are so many Sperry shoes...too many to chose from! I've never owned a one sleeve dress before - but I love the color! wearing this for a spring wedding. What do you think? Long tank top but cute when I bunch it up! I like all the possibilities I have for accessories! I think I look pretty good in yellow so I had to get it! I am digging the ruffles! A little short...but hey, it's spring soon! And it's going to be a hot one. great buys! 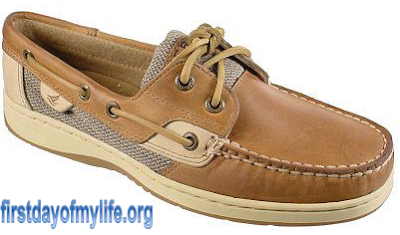 I totally want some Sperry's but hubs things they aren't too cute. The 1 sleeve dress, adorable! So cute I love the dress and yellow top! Love that red one shoulder dress - that will look great on you! I've been eyeing the Sperry's with the sequins. Love that one shoulder dress! Cute red dress and I LOVE Sperry's! They are so comfy. Enjoy them!!!! That red dress is so pretty! Can't wait to see pictures! And I love the yellow ruffled top...yellow makes me happy! Glad you and V had a fun time shopping! You will be beautiful in everything!! Cami!! I love love what you've done with your blog! I was just about to buy the first dress the other day but Im not so comfortable with the one sleeve. But its beautiful and Im in love with the last dress too! The header looks so fabulous =D I love it! And the clothes are amazing. They are such beautiful pieces. I am surprised that you have a slip to wear under the dress. Seems like so many women never wear slips anymore. That just means you are a true lady.